If you are anonymously trying to reach your customers on mass with the wonders of e-mail and mailing lists, do me a favour and leave me out. I know you’re only doing your best; you’ve just been thrown into an office with a computer and a contact list – for heaven’s sake – you’re only trying to earn a living. But every time I receive an anonymous email (or even worse – one with the wrong name) from a salesperson selling me something I didn’t need, it just feels so….unnecessary. You already know that for a sales person to grab attention you have to stand out from the crowd, be seen to be different in a really positive way – right? 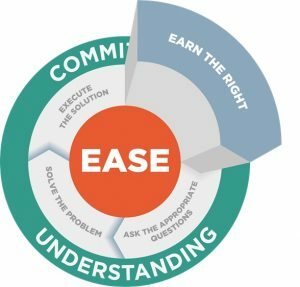 In our Selling with EASE workshops we talk about Earning the Right as a first step. We discuss the importance of ethics, bonding, empathising and reciprocity – treating people like human beings rather than simply “potential customers”. But don’t just start treating them like that AFTER your email campaign, you already know (because you receive them yourself) that sending something that looks like it came from a machine, will turn your customers off completely. When it comes to email prospecting ethics, bonding, empathising and reciprocity are vital. You know that it only takes a couple of seconds to decide whether you are going to read it, action it, or if you can delete it without any problems occurring. So, if you want your potential customers to read the stuff you send out, it will need to be friendly, personal and useful. There are some great companies out there like Mail Chimp – with free account options which allow businesses up to 2,000 addresses and 6,000 emails per month completely free of charge. Their software visits your website and incorporates your company colours into email campaigns, and each one you send can start with the name of the prospect in question. 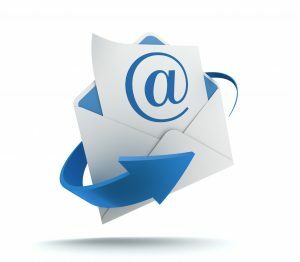 Once you realise what’s possible with these services – for very little effort and completely free of charge – all those nameless, impersonal emails you are currently receiving (and are sending) will start to leave a really bad taste in your mouth, and you’ll wonder why no one told you earlier. Put some thought into your subject line. If a book has a bad title it won’t make it off the shelf! Also, make it a little personal; let them know that not everyone who owns a computer is getting this message. Personally invite your entire customer list to meet with you at your trade show stand or networking event. The competition have sent out a generic email saying they will be attending. You send out a message inviting individuals by name to personally come and meet the team. If it really matters people will want to know, if you’re just brainlessly hawking your wares they’ll delete it. This is a great way to grow your on-line kudos by sharing interesting information, tips and articles – freely – with your address list. Remember – it’s all about them! You think you have to hit them right between the eyes with a marketing whammy, don’t you? 1 Pings/Trackbacks for "How to Personalise Your Email Campaigns"